Does your next big idea take your work in a new direction? In this workshop learn how to develop long-term thematic work by focusing on research strategies, time management/planning and goal-setting. Transform research into a visible and tangible part of your practice. Come ready to explore a new project and leave with a work plan in hand! Sue Mark is a cultural researcher with 20 years’ experience creating local and international social practice projects. She has a BA in philosophy and linguistics and an MFA from the California College of the Arts. As the marksearch team’s concept designer / grant writer, she creates boundary-crossing projects that collaboratively uncover lost history, overlooked culture and community challenges. 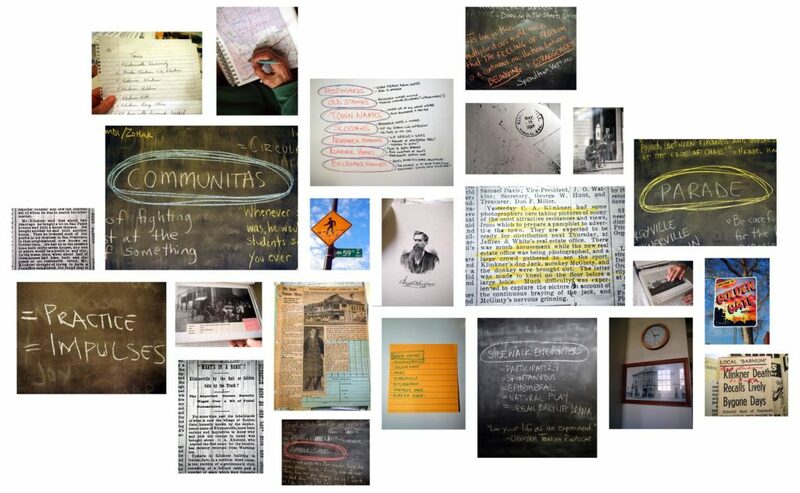 Since 2000, marksearch has collaborated with non-profits, community groups, historians, urban planners, and municipalities worldwide to create projects that connect local history with the lived experience of a particular place. Their work has received support from: The California Arts Council, The California Humanities, The Creative Work Fund, The Fulbright Commission, Oakland’s Cultural Funding Program, The National Trust for Historic Preservation, The National Endowment for the Arts, The San Francisco Art Commission, and The Trust for Mutual Understanding. marksearch recently completed a 6-month fellowship in Japan through the National Endowment’s US-Japan Friendship Commission and has been awarded their second Creative Work Fund grant. marksearch was a Kala Print Public fellow from 2013-2017.